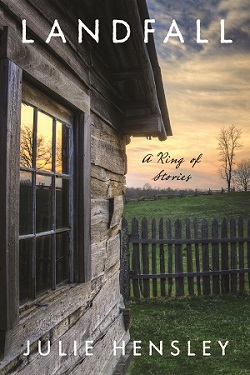 In this ring of connected short stories, grounded in the fictional town of Conrad’s Fork, Kentucky, everyone is staging some sort of escape. A woman harboring the dark truth about her youngest daughter’s birth, a new teacher suddenly under suspicion after a student’s disappearance, a young girl witnessing her older sister’s sexual awakening: all the people in this Appalachian community suffer a paralyzed desire in response to the stagnancy and exposure they experience in their small town. Landfall: A Ring of Stories weaves together the voices of two generations of mountain families in which secrets are carefully guarded—even from closest kin. One by one, those who leave confront the pull of the land and the people they’ve left behind. Perhaps Conrad’s Fork will save them, or, perhaps, in the wake of urban encroachment and shifting family systems, they will save it. Julie Hensley is Associate Professor of Creative Writing at Bluegrass Writers Studio at Eastern Kentucky University and the author of The Language of Horses, a poetry chapbook.